Providing a news platform for Tourism Australia. The new Australia.com can't just be a tweak of the current site - it has to be a completely new experience. And to succeed, we want to benchmark ourselves beyond the tourism category. This entirely new site needs to respond to the major trends that are changing our world - big content, data, collaboration and co-creation. The brief we received was to create the best tourism website in the world. 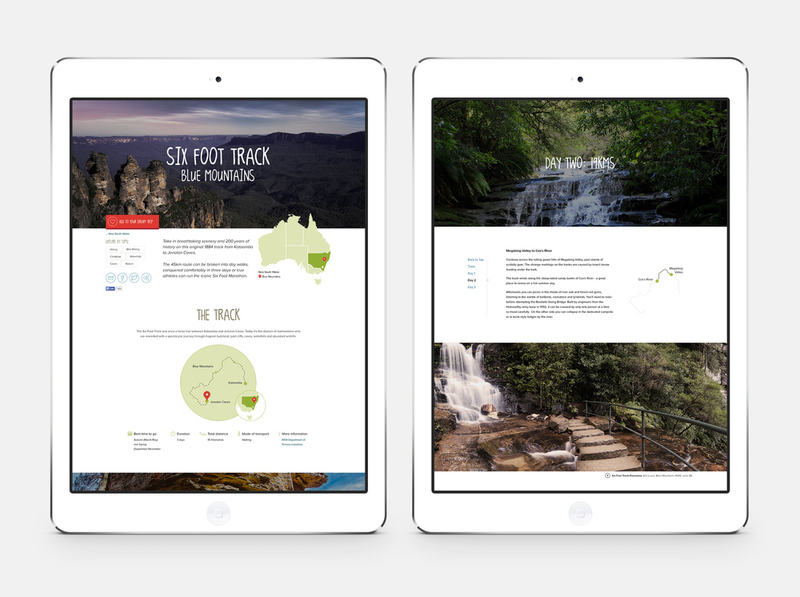 It quickly became apparent that we weren't just building a website, we were building a new way for Tourism Australia to connect with its customers and a new way for it to provide value to all of the stakeholders in our tourism ecosystem. In thinking about the user journey from a traveller’s perspective, we explored ways to engage tourists on an emotional level. We believed that travel is much more than getting from A to B. Rather, it’s often about the moments in-between and after arriving at your destination. We remembered the awe-inspiring feeling of seeing Australian icons like the Sydney Harbour Bridge for the first time and we wanted to bring that feeling to the rest of the world. The design uses traditional typesetting to help achieve a sense of timelessness. In build, we added subtle animations while taking advantage of flexible grids to create unique yet simple and beautiful layouts. For the launch of the site, we set out to create a feeling of wonder, which is embodied in the interactive video ‘Chase the Sun’, which opens the homepage and invites visitors to explore exciting Australian destinations. Through Tourism Australia's Facebook fans, we recruited a crew of talented local photographers to "capture their moments" in a time-lapse of the sun rising and setting in various Australian locations. The new Australia.com launched with agile publishing capabilities and best-practice user experience in mind, the site reflects a new digital vision for Tourism Australia. Simple, timeless design principles – and tools to create engagement and personalisation – are at the heart of the site’s success. The result is a site for both travellers and tourism operators to connect, share stories, discover inspiration, find information, and take the next step in planning Australian travel experiences.